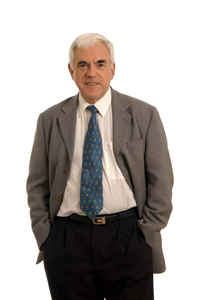 Gérard Berry, Chief Scientist, Esterel Technologies; Member of the ERCIM Advisory Board; Member Académie des sciences, Académie des technologies, and Academia Europaea. Embedded systems are becoming ubiquitous. Most existing computers do not have a screen, a keyboard or a mouse. Instead, they are hidden in innumerable kinds of objects: automobiles, trains, aeroplanes, tractors and cranes, domestic appliances, medical devices, robots, telephones, cameras, TVs, music players, smartcards etc. Because of the flexibility and efficiency of information processing, computerized systems are progressively replacing manual, mechanical and hydraulic systems. For instance, railways and subways the world over are being gradually transformed: electronic signalling, switching and dynamic scheduling are becoming the rule. In the near future, computerized objects will communicate with each other without human intervention and will be networked. For instance, cars will talk to each other and to the road, which will itself communicate with the city in order to organize traffic. Autonomous sensors will detect forest fires or river floods. One can safely predict that there will be many more autonomous objects than human beings connected to our networks, including to the Internet. Each day, our lives become more dependent on 'software-intensive systems' - digital information technology embedded in our environment. This includes not only automotive devices and controls, railways, aircraft and aerospace, but also the medical devices sector, 'mobile worlds' and 'e-worlds', the 'smart' home, clothes, factories and numerous other domains. Software is the main driver for innovations in all sectors, and most of the innovative features of new products would not be possible without software. New processors and methods of processing, sensors, actuators, communications and infrastructure are enablers for a truly pervasive computing environment; that is, omnipresent but almost invisible to the user, and as such the basis for an economic push. Software plays a critical role in this context, having an impact in areas such as complexity, security and privacy in a connected world, validation, verification and certification of software-intensive systems, and maintenance of these systems over long periods. 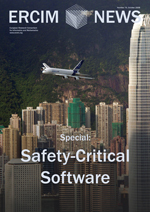 The functional safety standards of the International Electrotechnical Commission (IEC) 61508 group (generic and domain-specific standards) and the ISO 26262 standard on 'road vehicles - functional safety' currently under development, include separate software-specific parts (IEC 61508 part 3, ISO 26262 part 6).